Origo was delighted to work with Nike, a major publicly traded sportswear and equipment supplier, to design a new logo for their Global Running Tees. 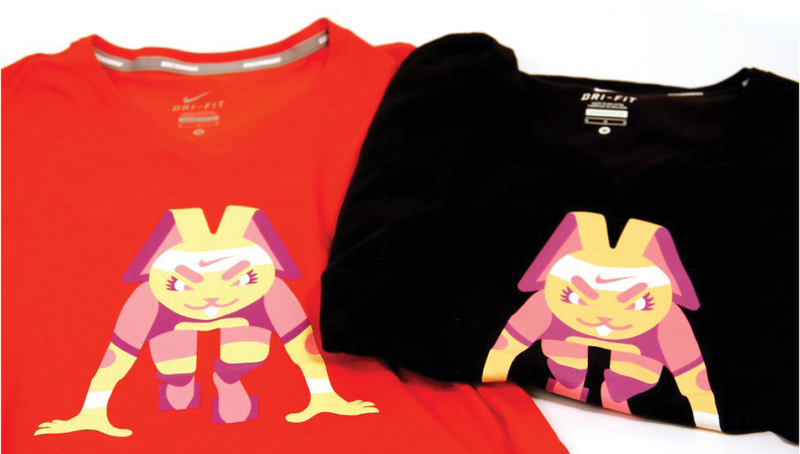 Given a hero theme of a “sporty rabbit”, the Origo design team used its creative abilities to come up with a graphic character with simple shapes, colors and dimensions to generate a new line of t-shirts. The new creative was recently introduced to the Nike Women’s Running product line, selling in stores worldwide.